Do neonicotinoid pesticides harm bees? According to scientific evidence, the answer is “yes”. Indeed, scientific evidence for the toxic effects of neonicotinoid pesticides on bees is accumulating at an increasing pace. 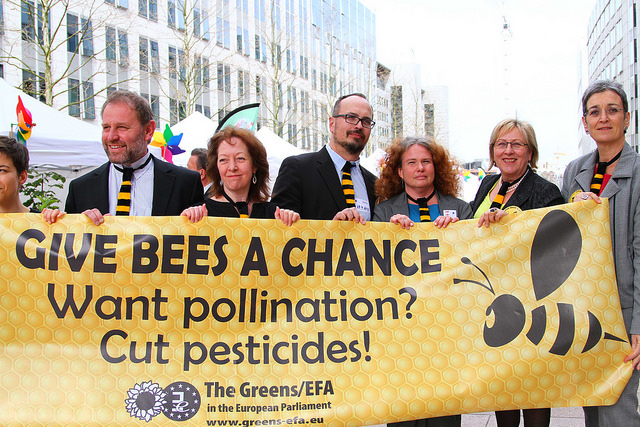 And, on the basis of scientific evidence, the European Commission banned in 2013 the use of three neonicotinoids — clothianidin, imidacloprid and thiamethoxam — on flowering plants. The ban was motivated by findings from the European Food Safety Authority (EFSA); these findings were based on the evaluation of the scientific studies available at the time. Now, a report from the European Academies Science Advisory Council (EASAC) emphasizes that bees are not the only species affected by the use of these pesticides. The report is based on the findings of an international group of independent scientists with expertise ranging from pollination biology through systems ecology to toxicology. According to the report, there is more and more scientific evidence that widespread use of neonicotinoids has severe effects on species that are important for pollination, natural pest control, and soil productivity. For example, predatory insects such as parasitic wasps and ladybugs that aid in pest control, and earthworms that improve soil productivity, are all harmed. In addition, neonicotinoid use has a negative impact on biodiversity. Neonicotinoids are neurotoxic (poisonous to nerves or nervous tissue of insects and other organisms), and act systemically in the plants — their solubility in water allows them to be absorbed and spread via the plant’s vascular system to all of its tissues. 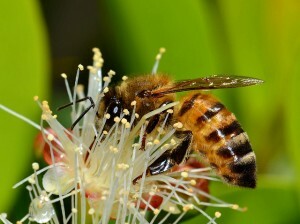 They reach leaves, flowers, roots and stems, even pollen and nectar, and become toxic not only to sap-sucking pests such as aphids or mealybugs, but also to any other species that harvest the different parts of the plant. In addition, exposure is possible across trophic levels, as for example in the case of bees foraging on honey dew, predators exposed through ingesting prey, or soil organisms decomposing contaminated organic matter. There is also evidence for sub-lethal effects of very low levels of neonicotinoids, over extended periods of time, on non-target beneficial organisms. Repeated sub-lethal doses may eventually become deadly once a certain threshold is passed. The EASAC report acknowledges that use of all pesticides is based on the balance between the desired effect on food production and the inevitable risk of collateral damage to non-target species and the environment. However, for neonicotinoids, scientific evidence accumulated over the last two years suggests that, rather than balance, there in imbalance — the risk of collateral damage is too high when compared to the benefits. of neonicotinoids on flowering crops. He believes that the EASAC report will help to reassess the risk-benefit balance of neonicotinoid application. Neumann also points out that the wider risks to the environment and longer-term sustainability of agriculture must be considered alongside concerns that further restrictions could have short-term implications for the economy and for food security. Although it appears clear that the effects of these chemicals are cumulative and irreversible even at sub-lethal levels, the report lists a number of uncertainties, including the persistence and mobility of the neonicotinoids, the significant difference in toxicity between species, the difference between acute and chronic toxicity, the possibility of effects within non-agricultural ecosystems and on higher trophic levels, mixture toxicity and synergism with other pesticides, and effects on the immune system. Studies that only test bee survival after a single exposure to a given quantity of pesticide dust are at this point inadequate. The report shows that correct evaluation of neonicotinoids safety must take into account entire ecosystems. The effects of neonicotinoid pesticides are indeed extremely harmful to bees and other animals that are involved in pollination and other farming necessities. Bees are an extremely important factor to the life cycle of plants, and these pesticides are destroying their population. However, the pesticides might not be the only factor involved in harming the bees. A study from “The Environmental Microbiology” was performed to determine whether there is another cause to the harming of bees, such as an infectious microspore. In this article, honeybees were tested with only the neonicotinoid as a base line for their results. To test their experiment, scientists exposed the honeybees to the pesticide and the Nosema microspore. This severely weakened the bees, even more so than the pesticide alone. There were higher death rates and increased stress. 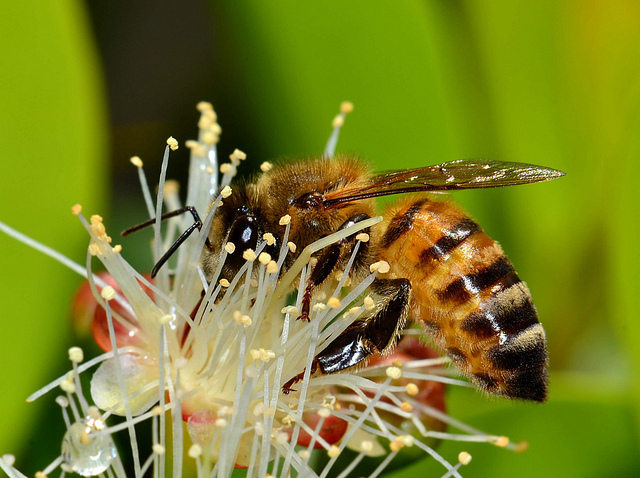 More work should be done to test for microorganisms on the plants that bees are attracted to, in order to determine if this phenomenon can be reversed. A subsequent study was also done investigating the Nosema pathogen and they discovered that the pathogen has been in Europe since at least the 1990’s with no ill effect until recently. They also tested many collapsed colonies and non-collapsed colonies and found that many of the non-collapsed colonies tested positive for the pathogen but were showing no effects and seemed quite healthy. They concluded that no causal link has been established between colony collapse and Nosema. There’s no denying that pesticides in general, including neonicotinoids, have negative impacts on the immune systems of the of bees and other species. The key to eliminating their impact on these species may be to stop using them altogether and focus on alternative farming techniques that would have the same desired effects such as crop rotations, poly-culture and trap crops. Investments in organic farming may also be the answer to stop the negative impacts of using pesticides on the environment. The effect of neonicotinoids on bee populations is potentially very frightening. It has been shown that even low levels may have long term effects on organisms they were not intended for. Despite this there are still many uncertainties, namely the true effects on bees after repeated long term exposure. Recent research has been exploring the effect on one of the banned neurotoxins imidacloprid on predator avoidance and cognition. It was shown that even small amounts of the pesticide reduced danger detection behavior in the bees. This type of effect could cause an even more drastic dip in bee population due to increased predation. Overall more research needs to be done the long reaching effects of neurotoxins as pesticides. Nothing happens in isolation so when pesticides are being designed the entire ecosystem needs to be under consideration.